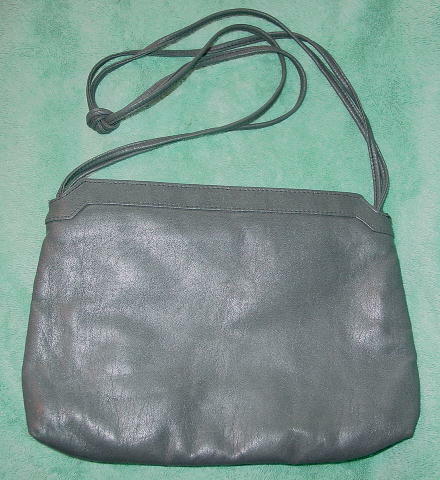 This dark gray faux leather vintage purse is by Mary Ann Rosenfeld. 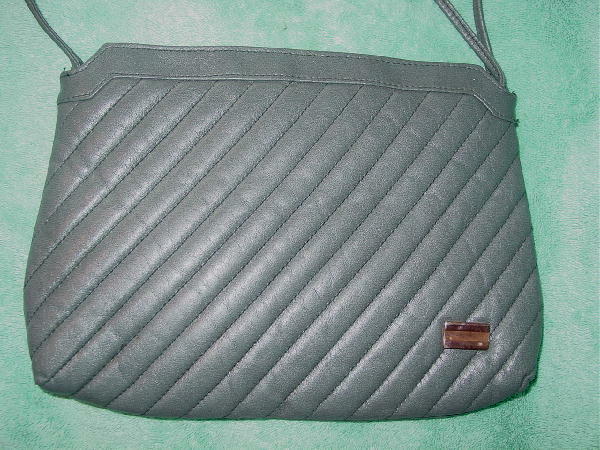 It has a top side to side zipper closure and two thin 34" long shoulder straps. The front has diagonal stitched panels and a tarnished gold-tone metal ornament. The interior has a black vinyl lining with a large zippered pocket with Mary Ann Rosenfeld on its front in gold-tone letters.